Wild Stone has a collection of soaps that complement its range of deodorants and perfumes. You can buy these Wild Stone soaps online, with special offers and discounts. 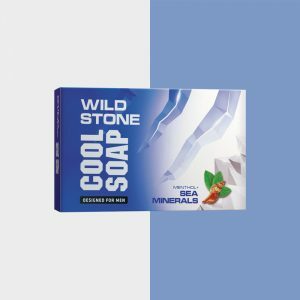 Wild Stone combo soap offer is the best online, up for grabs right now. Go and get yours soon! This combo is a great gift option, for your friends and family. Feeling sleepy and tired? Begin your day by bathing with the Wild Stone Cool soap. With sea minerals and menthol, it wakes you up and gives you a fresh, energetic feeling in the morning. It has been designed for men, keeping in mind that it must make you feel relaxed and fresh, all day long. 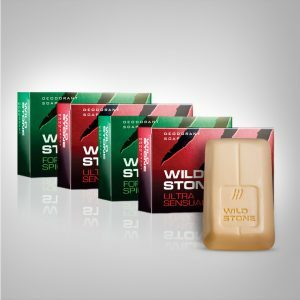 The Wild Stone Ultra Sensual soap is premium soap, with intense woody base notes. It has a strong, wild fragrance that leaves you feeling energized when you bathe with it. It is made of Kokum butter, which removes all dirt from skin and keeps it hydrated and moisturised all day. 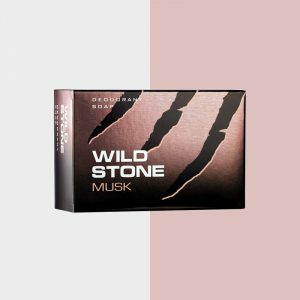 Filled with the goodness of musk, the Wild Stone Musk soap holds the properties of a deodorant that freshens up your skin and leaves it feeling alive. It also leaves a musky, strong yet sweet scent, that can’t let you go unnoticed. It’s a pleasant smelling, deodorising soap offered by Wild Stone. The weather in India can be very humid at times. 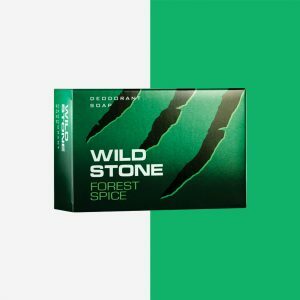 Keeping in mind, Wild Stone’s Forest Spice soap has been designed to make you feel fresh and keep sweat and body odour away, even on a very humid day. So you don’t have to worry about stinking, you can carry your raw personality with absolute confidence, making a lasting impression on people. It also contains Kokum butter, that leaves your skin feeling rich and smooth, all day long. These Wild Stone soaps are specially crafted in perfumeries and have unique, mysterious yet sophisticated fragrances designed keeping in mind the emerging youth of India. These soaps clean your skin of all the dirt and pollution and make it soft and supple. Your skin is nourished by its rich foaming lather. It contains a 100% moisturiser which leaves your skin refreshed and free of germs. It has a soothing effect on the skin and leaves a strong, musky smell making you feel awake and confident, throughout the day. The soap’s premium quality also ensures that your skin does not get irritated. Go for your morning run and use the Wild Stone soap for your morning shower, at office you would be turning heads around because its fragrance lasts all day long, so you don’t have to worry about sweating or stinking, as the Wild Stone soaps work their magic. These soaps work best when used with Wild Stone’s range of deodorants as well as perfumes. Thus, add these soaps to your grooming kit and complete it. These soaps can also be bought in a combo of three, or along with two deodorants. These soaps are available in two different sizes on wildstone.in, so choose yours now! So, what are you waiting for? Avail this Wild Stone combo soap offer now.